Watercolour American Saddlebred , golden dun …..gone a little cartoon like! So the weather has been torrential downpours….. Not that I am complaining too much, it is England! We like to talk weather. It goes from one extreme to the next, having had no rain for weeks, the fields have become bare, no growth, and burnt off what is left of the grass, so I have been putting hay out in the summer. To suddenly due to the Gulf Stream, we have had constant rain for almost two days, and it looks like a lake has emerged in the ponies field ( well a big puddle). So to make the most of the un-rideable weather, I set to painting another beast, an American Saddlebred, it turned out a little cartoon like, I think I concentrated too much,and reverted back to some old ways, but it was a good way to spend a wet Sunday. 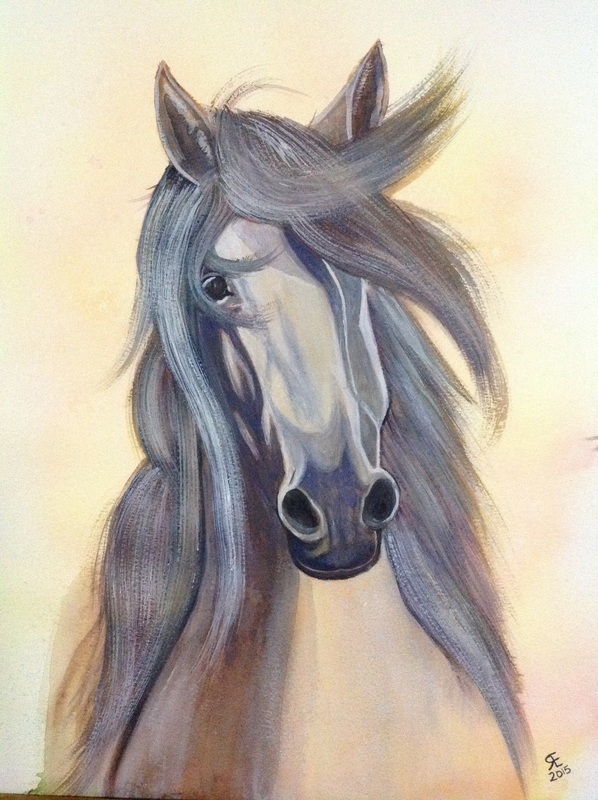 This entry was posted in american saddlebred, art, dun, Horse, watercolour and tagged american saddlebred, art, dun, Horse, painting, Painting, watercolour. Bookmark the permalink. 2 Responses to Watercolour American Saddlebred , golden dun …..gone a little cartoon like! You are being so prolific with paint!